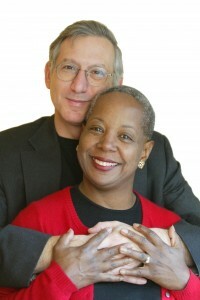 Last December 26, Wall Street Journal “Tastings” columnists Dorothy Gaiter and John Brecher stunned their readership by announcing that the day’s column would be their last. The wine world instantly erupted with surprise and speculation, which were rekindled last week when the paper named Jay McInerney as its new wine columnist. Meanwhile, Dottie and John have remained discreetly silent, with no explanation about their departure nor hint of their plans for the future. This coming Saturday, February 27, is Open That Bottle Night 11, an annual celebration Dottie and John started over a decade ago to encourage their readers to open that special bottle of wine they’ve been saving. We love OTBN and all it stands for—that wine is part of life and should be enjoyed—and we didn’t want to let the holiday pass without a word from its founders. To our delight, the pair graciously agreed to share their thoughts on its history and the factors that have made it such a smashing success. Q: Some of our readers may be unfamiliar with OTBN’s origins. Could you describe briefly how it got started? Was there a particular event, or bottle, or story that prompted you to suggest to your readers that the best time to open that bottle they’ve been saving is now? A: When we began writing our “Tastings” column for The Wall Street Journal in 1998, we tried to write an accessible column that answered the real questions that real people had about wine. Soon, we realized that the question we received most often was this: “I have a bottle of xxxx that I received from my grandfather (or saved from my wedding, or bought at a winery, etc.). When should I open it?” (The addendum was usually: “And how much is it worth?”) We told everyone the same thing: Open it this weekend and celebrate the memories. But we answered the same question so often that eventually we figured, jeez, let’s just set a date when we will all open that bottle together and celebrate the memories. We chose a Saturday in September 1999. Q: OTBN has become a worldwide phenomenon in its 11-year lifetime. Why do you think it has become so successful? What has surprised you most about its growth and evolution? A: We had no idea OTBN would be such a success. The first year, we received more than 1,000 letters—real letters, on paper, because this was before we had email. We laughed with some, cried with others. It was clear that, indeed, everyone—whether they had one bottle in the house or an entire collection—had that one wine that was always too special to open. You know how it is: Oh, let’s save this for a special occasion; and then no occasion is special enough; and the bottle just sits there, dying. As one OTBN celebrant once put it, these are wines that people are literally loving to death. There’s sentiment and romance out there—much more than you might think from reading the daily news—and we think OTBN taps into that. In addition, there is just so much cant and snootiness surrounding wine. OTBN gives people a license to enjoy a bottle of wine for what it really is: an enjoyable, tasty beverage with some really good memories attached to it. Readers urged us to make the event annual, which we did, but we changed it to the last Saturday of February, because we figure everyone needs an excuse for a party then. Q: Over the years you’ve read hundreds of stories from OTBN celebrants, many reflecting on the special memories associated with their bottle, and how opening and experiencing the wine reconnected them with the past—with experiences held dear, with loved ones long gone. Why do you think we are so moved to save, and sometimes so reluctant to open, our special bottles? Is there something special about wine that lends itself to this? And, how does opening our bottles change our relationship to that memory? A: Tastes and smells have very special ways of connecting us with memories. It’s nice to see a picture of that trip to Greece, but seeing that actual bottle that you lugged back—the same one you had at that taverna—sparks taste and smell memories that make it all more intense and real. Some readers who have opened such bottles share that with the bottle gone they’ve come to terms with the possibility that they may never take such a trip again. We would hope that perhaps they’d set their sights on another locale, another trip. We’ve heard over the years from many people who opened bottles bought by loved ones who had died. One man and his son came to a book signing we were doing and gave us the empty bottle. His dad had purchased the wine—a far better quality wine than his usual purchases—and apparently forgotten about it. It was discovered years after his Dad’s death, when the son was moving his mother to an assisted living facility. We told him that the bottle was too precious for us to accept and he responded, “We have the memories. We don’t need the bottle.” Another young woman opened a bottle of wine that her dad who had died had made, her very last one. She had thought of it as a treasure and made three moves with it. She had thought that drinking the last bottle would be somewhat akin to losing him again but she shared it with very good friends who then got to experience him in a very sweet way. There was no better way to honor him, she said, than to drink it with the family she had cobbled together from friends. Q: In ’08 you noted that we served our special bottles with beef daube; by ’09 it was meatloaf. Stories of our celebrations have served as a kind of indicator of our collective mood, as nation and as world. What have you learned about us over the years by reading our stories? And what themes do you expect will emerge this year? A: We’re always surprised by the theme, so we wouldn’t guess about this year, but it’s certainly true that, as the years went on, the celebrations took on a sense of the national mood—fancier wines, bigger parties and richer foods in the good times; more family time, more comfort food and wines that hit a special emotional chord in leaner times. Q: What was your own most memorable OTBN? How do you plan to celebrate this one? A: We wouldn’t want to choose among our own OTBNs. We always decide at the last minute because we enjoy talking about the possibilities. Here’s one for this year: Paloma Merlot from Napa. We have several vintages and we’re not sure which one, but here’s the story: Back in 2001, when no one had ever heard of Paloma, it was our best of tasting in a blind tasting of Merlot. It blew our socks off. We then called the winery and had the most charming talk with the owners, Barbara and Jim Richards, who told us about the amazing personal attention they put into every bottle. Two years later, Paloma was Wine Spectator’s wine of the year, and we felt it couldn’t happen to nicer people. Mr. Richards died in 2009. When would we ever open this bottle—except on OTBN? Q: Although the Tastings column is no more, OTBN lives on, with many celebrations planned for next Saturday. Can we expect a report from you about OTBN 11? A: We will likely just have an intimate OTBN this year. Maybe we will start writing about it again next year. How will you celebrate OTBN this year? What will you open, and why? Please share your thoughts and stories in the Comments below. Thanks for the OTBN reminder! This is a great kick in the pants to rummage through my “cellar” (three cardboard boxes) in the basement and remember what buried treasures lie there. I suspect I’ll come across a 1997 Chianti Classico from Badia Coltibuono and probably some good old Barolos. It’s like getting a surprise gift from the past you. Wow – happy to see this story – feel like I’ve celebrated more of these OTBN with them! Do they have a fb page or twitter account? Last night we pulled the cork on a 2001 Vieux Telegraph “Le Crau,” serving it with chicken roasted on a bed of leeks, carrots sauteed with shiitakes and shallots, and wild rice. The wine had great clarity, with a smooth feel and even fruit. The tannins were quiet, or perhaps had quieted down, leaving a full, nuanced wine that was quite sure of itself but also complementary to the meal. The highlight, though, was enjoying it with our dinner guest, a winemaker with particular expertise in Rhône and Rhône-style wines. Drinking it with him was pleasurable and edifying—and just plain fun. How did you celebrate OTBN? We had a 2000 Croft Port with friends. For our guests, this was a first time experience with vintage Port as well as OTBN. I selected the port after a full day of walking around snowy Boston. Decanting and settling only added to our anticipation. We enjoyed the notion of having this wondeful wine for OTBN. Mindfully selecting this wine and discussing the wine for OTBN made the wine unforgettable. We hope to gather again for this wonderful ritual. 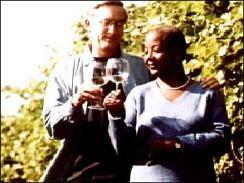 Thank you to Dottie and John as well as Palate Press for highlighting the importance of the wine experience. We prepared Coq au Vin using a bottle or so of a lesser Cabernet. But the wine we opened was a 2007 Kenneth Volk Negrette. Never heard of Negrette? Volk is literally one of a handful of people using it today. Perhaps it might not be appropriate for the Palate Press to review, for the foreseeable future, the wines of the winemaker obliquely referenced above. The cozy relationship of a PP editor with such a figure will, I can assure you, compromise the integrity of these pages. Mike, Thank you for sharing your OTBN. That was one heck of a line-up of wines. I hope the friends were even finer. John & Dottie, if you are reading this, YES PLEASE!!!!!!!!!!!!!! My wife and I are still suffering withdrawal from your column, and I know we are just two of many thousands who feel the same. You were such an important part of our life, and we miss you. Please start writing again soon. Even if you have to charge your readers directly, I’ll gladly contribute. Thought you might be interested that we’ve been in contact with John and Dottie and with their blessing reinvigorating OTBN – been some great momentum from here in Australia and using social media to really spread the word. Hope you’ll help pass on the message and get involved again. Dottie and John back on the scene is the best. Welcome back, you are greatly missed. My husband and I will celebrate our 10th OTBN this year. Our first was with 3 different Barolo’s in a restaurant with work associates. Over the years we have gathered with daughter, son in law, brother and sister in law and we take turns hosting. We create a meal based on the wine the host is opening. It’s our turn this year and we are going back to the beginning. We were gifted an 04 Barolo for our 9th wedding anniversary and it is this years choice. Salut to all and we will be sure to check in with you on OTBN for this new twist.